Rats and mice infestation is the current pest control problem in Tameside. Rats and mice like to move indoors when colder weather arrives in the autumn. I have 26 years experience with rats and mice infestation so I can quickly solve your household or commercial problems. I have many testimonials from my satisfied commercial customers and domestic customers. Rats and mice infestation can carry diseases such as Salmonella, Typhoid and Disentery. Also water contaminated by rat urine can cause Weil’s Disease (Leptospirosis). Food contaminated with rat or mice droppings can cause serious gastroenteritis, which can be fatal. Typhus is transmitted from rats and mice via flea bites. It is estimated that there are more than a million domestic properties in the UK suffering from rat infestation and that there are over 10 million rats in the UK. Apart from the health aspect, rats can cause damage to property, especially in roof spaces where electrical wiring is prominent. I offer a speedy service, so if you are suffering with a rats and mice infestation problem give me a call on 07940 062670. I can usually be with you within the hour. I offer a professional, fast and friendly service. The prices I charge are very affordable and the price you see is the price you pay. I can assure you that you will become one of my many satisfied customers. As well as my rats and mice infestation control service, I can also solve many other pest control problems. See the domestic or commercial price list for my full services. If you need a fast solution to your rats and mice infestation problem in Tameside, then give me a call on 07940 062670. I can provide a fast solution. I also provide a full pest control service in the Ashton-under-Lyne, Audenshaw, Denton, Droylsden, Dukinfield, Hyde, Hollingworth, Mossley and Stalybridge areas of Tameside as well as Glossop and Saddleworth. Tameside flea control problems has seen me extremely busy lately. 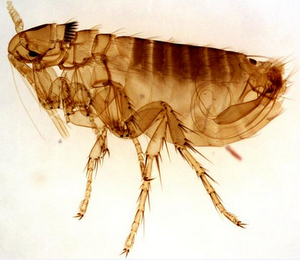 Are you are having a Tameside Flea Control problem? If so I offer a fast service, usually within the hour. Why not give me a call on 07940 062670 My comprehensive range of services are all fully guaranteed. I can cure your Tameside flea control problem for a set fee of £65. This charge covers 4 rooms. I have 26 years experience so can quickly solve your Tameside flea control problems. Why not have a look at some of the many testimonials from my commercial customers and domestic customers? The flea population always increases during the summer and when the weather cools down fleas seek out warmer places to gather and lay their eggs. Tameside flea control problems have been prevalent recently in the Ashton-under-Lyne, Audenshaw, Denton, Droylsden, Dukinfield, Hyde, Hollingworth, Mossley and Stalybridge areas of Tameside as well as Glossop and Saddleworth. I offer a fast professional service, and can solve your Tameside flea control problem quickly. Give me a call on 07940 062670. I can usually be with you within the hour. My charges are very affordable and the price you see is the price you pay. As well as the Tameside flea control service I can also provide wasps nest treatment, cockroach treatment, bed bug treatment and investigation of roof space noise. If you are plagued by rats or mice, I can quickly solve those pest control problems too. If you are having a problem with Tameside flea control give me a call on 07940 062670. I can provide a speedy solution. 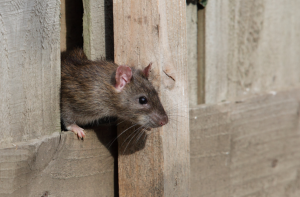 I also provide rat and mice control, flea, ant and cockroach treatments and other pest control services in the Ashton-under-Lyne, Audenshaw, Denton, Droylsden, Dukinfield, Hyde, Hollingworth, Mossley and Stalybridge areas of Tameside as well as Glossop and Saddleworth.